Rammstein and The Offspring (performing “Ixnay On The Hombre” in full) have been confirmed for the 2017 Amnesia Rockfest. The festival will take place in Montebello, QC on June 22-25. 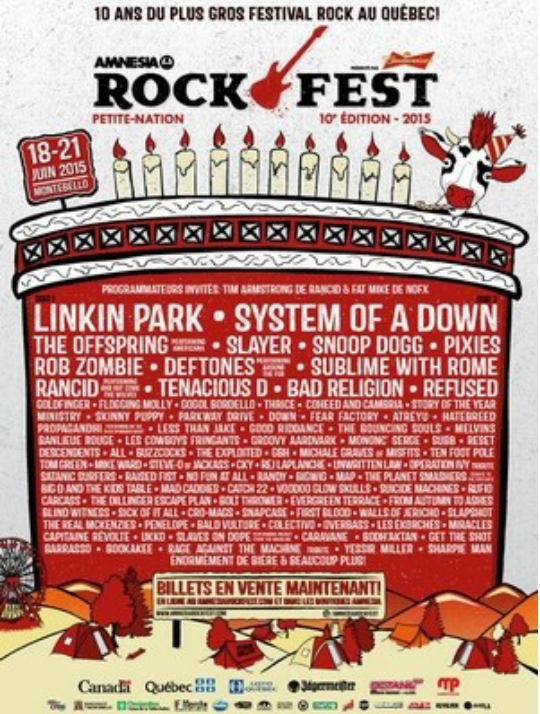 Cannibal Corpse, Bring Me The Horizon, & NOFX (performing “Punk In Drublic” in full) are the first three artists confirmed for the 2016 Amnesia Rockfest. The event will take place in Montebello, QC on June 23-26, and more info will be available soon.